What is Adventure Outfitters All About? Adventure Outfitters is a full-service, PADI 5-Star Dive Center and family-run business that prides itself on high-quality servicing, retail and rental gear and personalized courses. We make sure that each student, diver and/or customer receives the utmost attention when it comes to personal instruction, high-quality servicing / rental gear, unique dive sites and more! Located in South Tampa at 4316 S. Manhattan Ave., Adventure Outfitters is equipped with the gear, instructors and resources to have a fun day on the water. We cater to all types of diving including snorkeling, open circuit scuba, freediving, spearfishing, cave and cavern diving, technical, closed circuit scuba, trimix diving and more! As divers, we have a responsibility to take care of the environment around us and we try to share that with the Tampa Bay community through our cleanups. We offer a regular Dive Against Debris program quarterly, all volunteer organized. Learn more on our Dive Against Debris page! Starting off as Midwest lake divers, our family has relocated closer to the ocean, the springs and the Florida caves. We enjoy a large variety of activities – from shark-tooth hunting at Venice Beach, to spearfishing in the Gulf – finding creatures and treasures on each site we explore. It’s our personal mission to make sure that students get a personalized and hands-on diving experience while having fun. Safety is our primary initiative and our small class sizes, individualized instruction and reasonable price makes us stand out from other dive shops and resorts while at the same time having access to some of the most sought-out dive sites, charters and equipment. What are your Business Hours? How can I reach you? 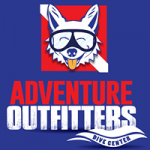 Adventure Outfitters Dive Center is always open, but our store hours are Monday through Friday, 10 a.m. to 7 p.m. and Saturday, 9 a.m. to 5 p.m. Sundays we are either teaching or out diving! If you need anything outside of business hours, please contact us at info@adventuretampa.com or message us on Facebook and we will get back to you as soon as we can. You can also call the store directly at 813-832-6669 during business hours. What are Your Cancellation & Deposit Policies? DEPOSITS & CANCELLATION POLICY: We understand that your family and your health come first. If you must cancel your course, please call Adventure Outfitters at 813-832-6669 or email us at info@adventuretampa.com to reschedule as soon as possible. We are dedicated to serving our students and this gives you the best chance possible to secure the right timeframe for you. Cancellations: To protect students and instructors alike, Adventure Outfitters enforces the right to charge full price unless the student cancels at least 72 hours prior to a course. Student will receive a 50% refund of remaining balance if canceling at least 96 hours in advance. Student must cancel at least 72 hours prior to the course to receive a partial refund. Check to see if your credit card has trip insurance available and activated or investigate travel insurance if you are traveling here. For more information, visit DAN's website. Deposits: We know that issues come up and we will try to work with you as best as we can. However, since we have such small classes, we must adhere to our schedule as best as we can to make it fair to our instructors and other students. To ensure your specific course dates and/or to cover the study material costs the following, non-refundable deposits are required. For any private or semi-private course: 1-2 students – A $250 deposit is required; for a group course: 3-6 students – A $200 deposit is required; or for a Referral student(s) – A $200 deposit is required. If you must reschedule any course dates, there is a $50 rescheduling fee. All remaining costs (any rental, entry and outstanding course fees) will be paid prior to any pool or open water session. All remaining costs (any rental gear, entry and outstanding course fees) need to be paid prior to the pool session or open water. If you require extra days to complete your course, we do require an additional $150 fee per day for the instructor’s time. Do You Have a Dive Club? Adventure Outfitters believes in diving for fun! We do not require club membership fees or obligations. Instead, we offer monthly/quarterly FREE diver events and host local, Florida guest speakers. Our mission is focused on local Florida diving including: safety, marine conservation and continuing dive education. If you have a suggestion or would like to be considered as a speaker for our events, please contact us at info@adventuretampa.com or call us at 813-832-6669. See our Events calendar for more information. What If I Want to Book a Large Group or a Guided Tour? Adventure Outfitters does offer large group classes but only on a case-by-case basis. Please reach out to us at info@adventuretampa.com or at 813-832-6669 for more information to inquire. Please include available dates, number of students, age of students and any other pertinent details. Guided Tours: Adventure Outfitters provides group tours periodically. Please check out our events calendar to receive more information on these specific events. If you wish to book a private-guided tour, please reach out to info@adventuretampa.com or 813-832-6669 for more information. I am from Out of Town. Can I still Book Trips & Classes? Absolutely! We are proud to serve customers and students from all over the world! If you are interested in a referral dive session or would like to book a trip, please reach out to info@adventuretampa.com and include the date of your trip, what type of diving you are looking to book and what rental gear you will need. Also, remember when doing single dives, a minimum pre-flight surface interval of 12 hours is required. With repetitive dives or multiple days diving, a minimum pre-flight surface interval of 18 hours is required. What is our ZenDog Philosophy? We are a dog-friendly business and one thing we've learned from our canine friends is something that we use in our diving today! Our philosophy is to live in the moment! "Don't remember yesterday, no concept of tomorrow but today is pretty darn good!" What Are Some Reasons to Support Your Local Dive Shop? Your local dive shop is the only place where you can take courses, see/try on gear, learn about trips, local dives and new equipment. Your local dive shop is also where you can get your tanks filled or tank rentals for local trips! Adventure Outfitters spends a lot of time researching and educating ourselves on all of the latest technologies, safety measures and updates in the dive community. We like sharing our knowledge and the latest industry news! We can help you select dive gear that will fit you properly within your budget. The internet cannot do that. Members of the dive community are fun and interesting. Spend time with a shop long enough to get to know them and create lifelong friendships! It’s a great place to learn new things and find a dive buddy.